To view the Greater Carrollwood Northdale Communities Plan please click the link below and use the Table of Contents. View the Sociocultural Data Report (SDR) for Greater Carrollwood-Northdale. The SDR contains demographic information and trends for Greater Carrollwood-Northdale from 1990 to 2015, a summary of existing land use within the community, and a list of facilities. A demographic profile for Hillsborough County is also available at the end of the document. 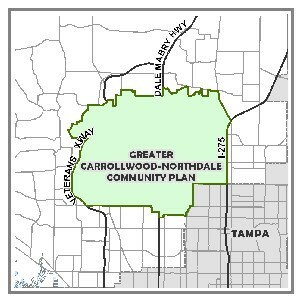 The Greater Carrollwood-Northdale Communities Plan began in December 2007. The Planning Team was comprised of the Planning Commission, Office of Neighborhood Relations and Planning Growth & Management Department staff whom worked with area residents, civic leaders and business owners in assessing current characteristics, future aspirations and ways of addressing change. The Community Plan consists of a Vision statement and implementing Goals and Strategies. The community is located south of Van Dyke Rd, west of I-275, north of Linebaugh Avenue, and east of the Veterans Expressway. If you would like further information, please contact the Planning Commission.  Please Click on the Following Links to download Documents and Meetings relating to this community Plan.  Please Click on the Following Links to download Maps relating to this community Plan.